The U.S.-U.A.E. Business Council and the U.A.E. 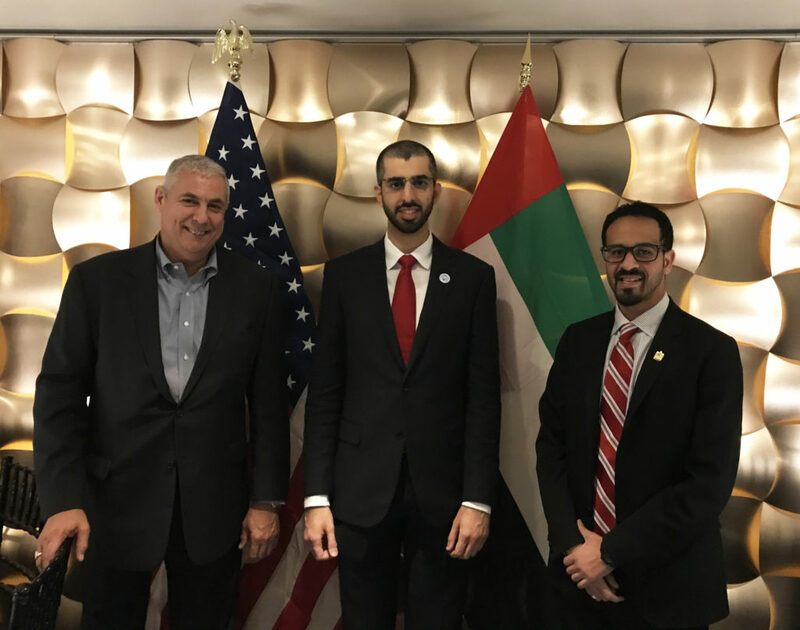 Embassy in Washington’s Trade and Commercial Office hosted a dinner on Wednesday November 14th in honor of a visiting delegation from the U.A.E. Prime Minister’s Office led by His Excellency Omar Sultan Al-Olama, U.A.E. Minister of State for Artificial Intelligence. The dinner, held at Café Milano, provided an opportunity for the delegation to engage prominent Washington policymakers and thought leaders, as well as senior executives from the local business community. The delegation is currently in Washington to host World Virtual GovHack, an event that regularly brings together top software developers, designers, and entrepreneurs to address global challenges such as refugee resettlement, and challenges to resource access and security. Danny Sebright, President of the U.S.-U.A.E. Business Council, and Saud Al Nowais, Commercial and Trade Attaché at the U.A.E. Embassy’s Trade and Commercial Office provided welcoming remarks before introducing H.E. Al-Olama. Before concluding the dinner, Mr. Sebright highlighted the Business Council’s successful October 2018 U.A.E. Tech Mission, and the opportunities provided to participants for engagement with prominent public and private sector stakeholders in the U.A.E.’s IT and ICT ecosystem, including leadership from the Dubai Future Foundation and Dubai Future Accelerators.